Yes, you’ve heard this prediction before. And you’re right, podcasting is not new; it’s been around for well over a decade. But, in 2016, with a slew of political podcasts because of the presidential election, news organizations realized the potential for podcasting as a primary news source. They realized there’s an appetite for audio news on-demand that caters to a younger audience (think 35 and under). For years, newsy podcasting has mostly been limited to (1) news organizations that are native to audio — think NPR and WNYC; and (2) news organizations that jumped into the market early — think Slate. In 2017, we’ll see more traditional news organizations, like The New York Times, invest in audio because they see a growth market — a potential to reach thousands of eager young ears. Will legacy media organizations be able to use podcasts to drive younger news consumers back to their work on the radio, online, or in print? We don’t know yet — that will be their challenge. Nonetheless, I predict we’ll see more news-oriented podcasts from traditional outlets, regardless of their fluency with audio. In other words, the sense of a gold rush that’s permeated the podcasting market since Serial will only swell larger, with startup shows, professional media organizations, and one-hit wonders all flooding iTunes and other podcast platforms. In the long run, many will die; the true barometer of success will likely be the quality of the product. And, in my mind, this is twofold: (1) quality audio production that’s easy and comfortable to listen to, and (2) charismatic hosts with dynamic personalities and diverse perspectives. Podcasting is sometimes dismissed as nothing more than radio in your ears, on your own schedule, but I beg to differ. It’s far more intimate than traditional radio. And news organizations that realize the power of this intimacy will likely have an advantage in the long run. I was part of the NPR Politics podcast team this past year; through an ensemble cast, we brought listeners weekly campaign news with a sense of our real personalities. And as a result, listeners were loyal. They felt like we were their friends. And they regularly gave us feedback, far more than we ever receive on traditional radio. In a crowded marketplace, maybe that’s what young people want — reliable news with a trustworthy perspective. They’re not looking for omniscient objectivity, but trusted, truthful perspectives. 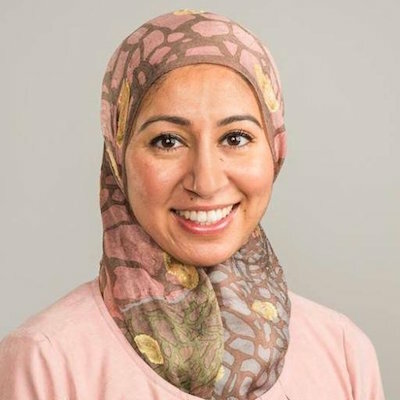 Asma Khalid is a reporter for NPR. Dec. 14, 2016, 3:25 p.m.